This week has gone so fast I can't believe we're heading into the weekend again. We've had my husbands brother from New Zealand stay with us and it's been fantastic. He's amazing with the boys and they love all the attention - I even managed to go shoe shopping while he entertained the kids in the store by taking them up and down the escalator a million times. We visited a castle near our home and I unexpectedly found some beautiful wrapping paper in their souvenir shop. I used it for two craft projects. A birthday card and some lid covers. 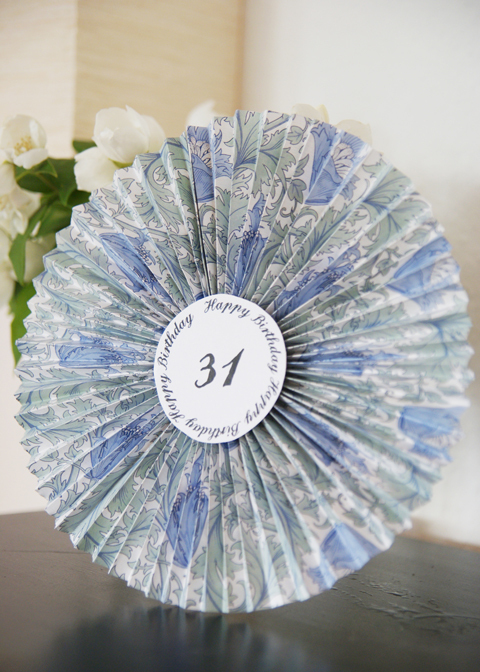 The paper rosette card was inspired by a recent post from the lovely Iris over on Irideeen, her blog is a great source of inspiration to me. She included some instructions here. I used my weapon of choice: a hot glue gun and attached a round piece of paper to the back to write my personal birthday message on. I have lots of old coffee jars that I use to store bits'n pieces in but they aren't pretty to look at so I covered them in the same paper - again using a glue gun. I hope you enjoy your weekend. We have a group of friends coming over for a BBQ on Saturday - hopefully the weather will play along nicely. 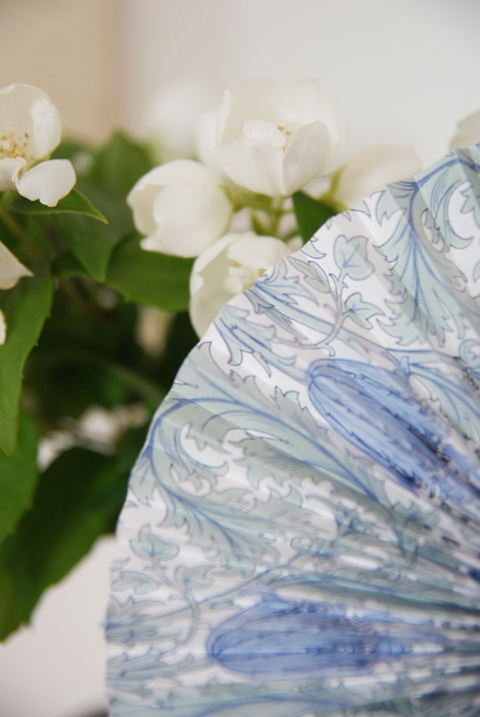 Next week I'll be back with some interior eye candy from Scandinavia and some sewing projects I finally finished. Die Nescafe glaeser sind super schoen. I would love to find some beautiful papers like these. 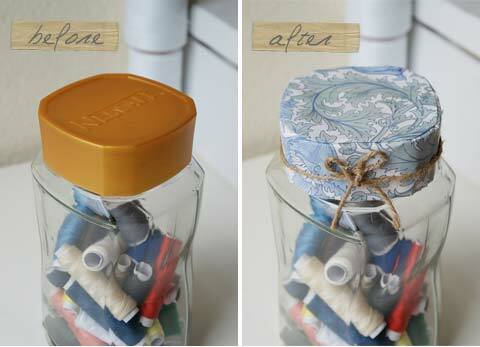 Your card and jar covers look wonderful. That is a sweet mention Nina, thank you! Love your creation, beautiful paper!